Long Island Plastic Surgical Group (New York) - Book Appointment Online! 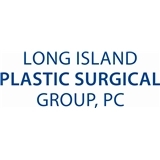 Since 1948, Long Island Plastic Surgical Group has been dedicated to providing compassionate and comprehensive care, while pioneering and performing the most advanced reconstructive and cosmetic surgical procedures for more than half a million patients. With 70 years, 21 doctors, and 8 locations all in 1 trusted practice, LIPSG continues to provide expertise you can count on. I was really impressed by her very caring, knowledgeable, and professional would highly recommend her! Doctor aside, what a nice person. He discussed everything, did not rush and I bet there will be fantastic follow up visits as well. Office staff is worth mentioning as well. Very professional and very nice and they took me at the time of my appointment... no waiting !!! Dr. Christy was an absolutely fabulous doctor who answered our questions and put us at ease during a very trying time. He is very talented and we would recommend him highly. Amazing staff, my consultation went as smooth as can be. I liked Dr. Ruotolo very much. She was informative and understanding.